This is going to accompany a future dish, but I saw the opportunity to prepare something in advance, so I’m going to take it so I don’t end up with the fiasco I had with my last dish. I tend to work better and more efficiently in a kitchen that actually has counter space. Crazy right? 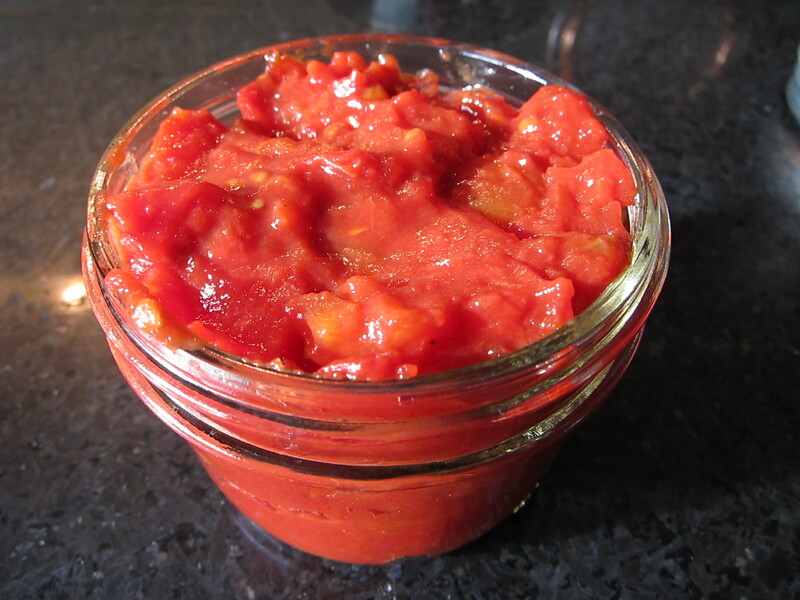 Spiced Tomato Jam from Cooking with Italian Grandmothers. 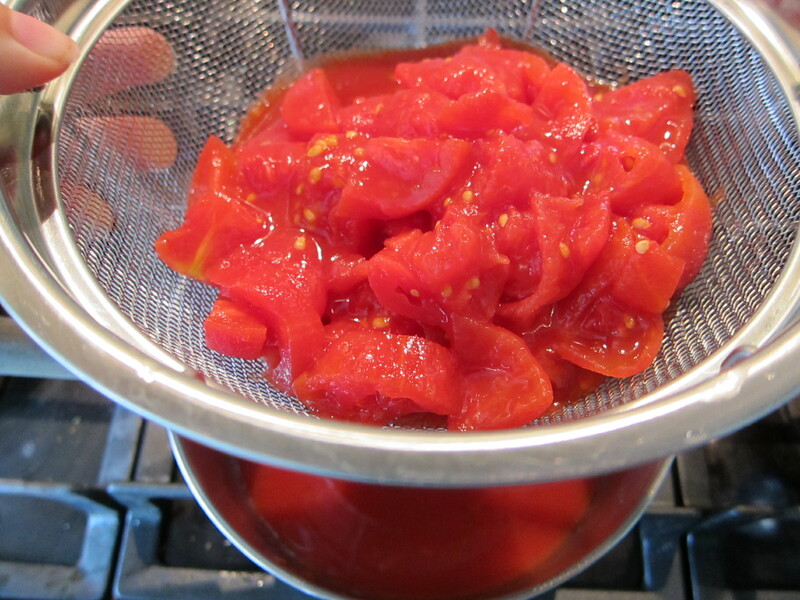 Chop up tomatoes. 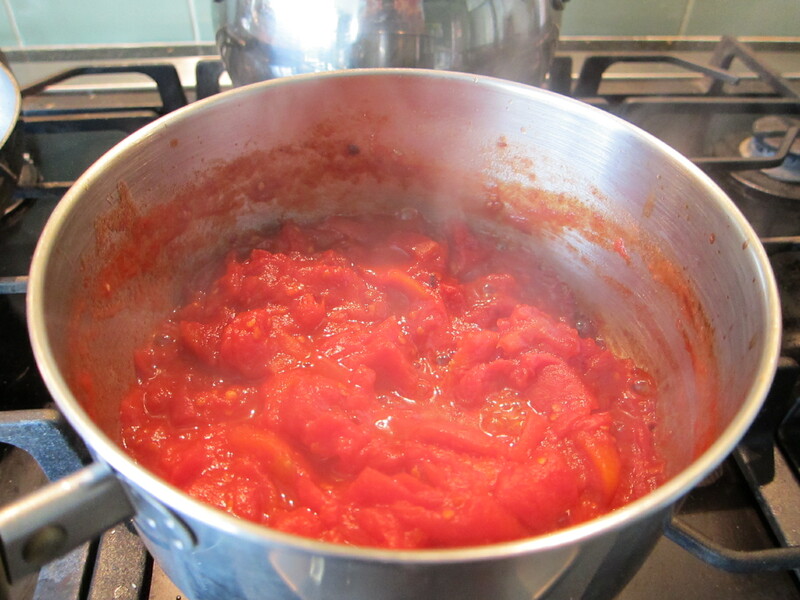 I’m going to approximate by using just one can whole tomatoes. 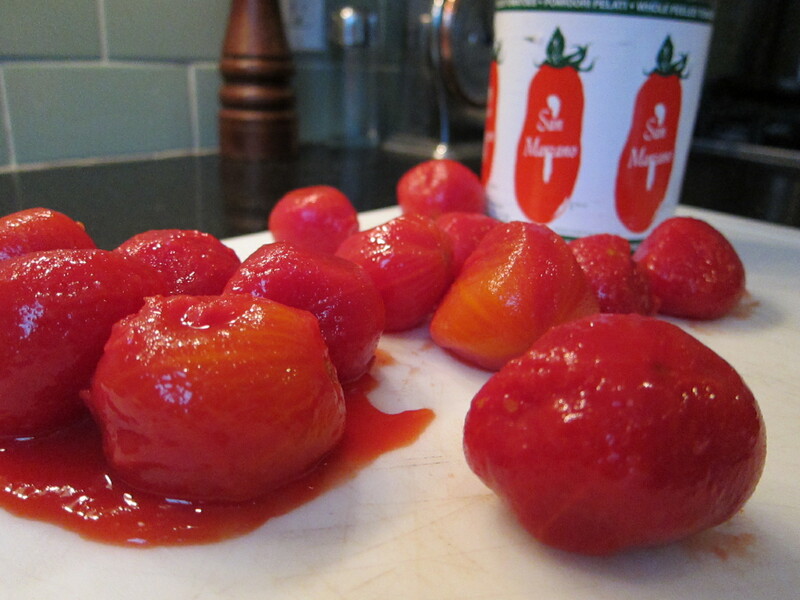 (in my opinion, much better than out of season fresh tomatoes) These are going to just sit in a bowl with a generous pinch of salt and sugar for a couple of hours to get them super juicy. After a couple of hours, strain them. 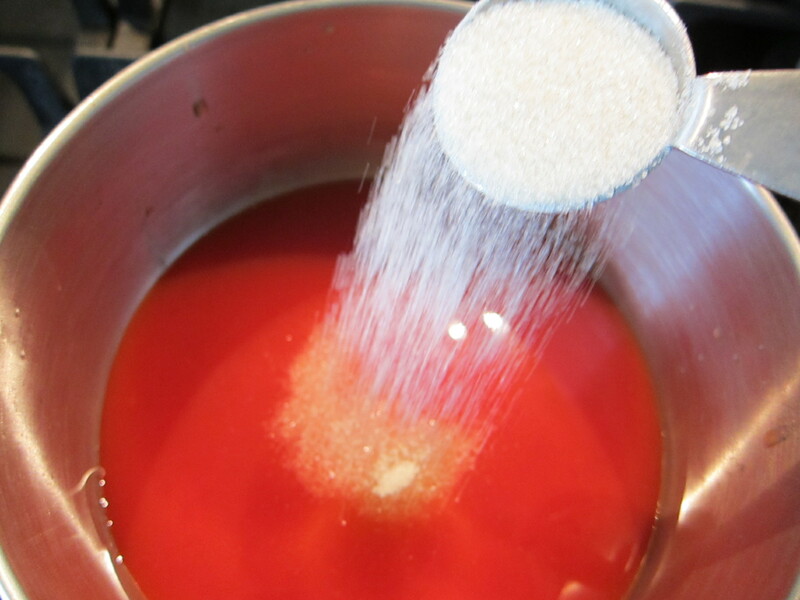 Take the juice and remaining sugar and put in a sauce pan over medium heat. Bring to a boil and reduce for about ten minutes until it gets syrupy. 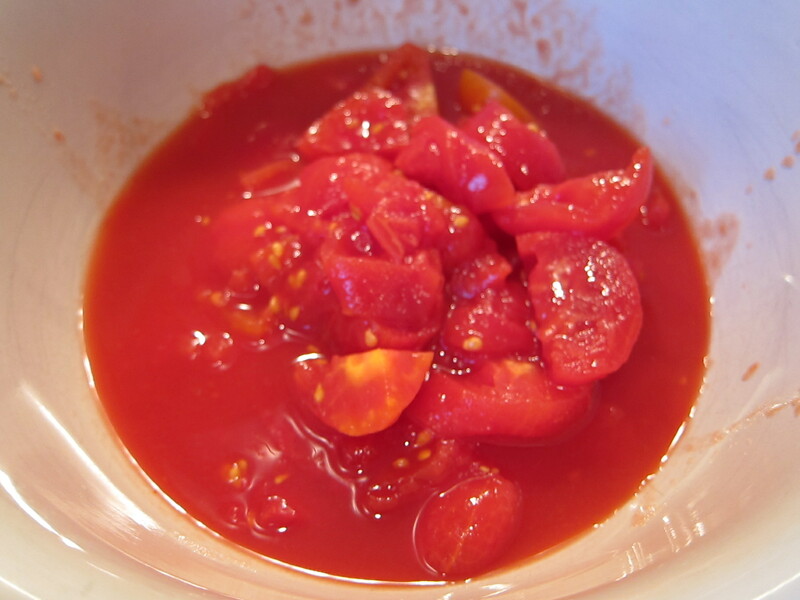 Add the tomatoes back to the pan, along with some cinnamon, hot pepper flakes and cloves. Boil over medium heat for about 45 minutes until it looks like jam. Nice and gooey. Turn off the heat and add lemon juice. Taste for salt and sugar and add more if you like. 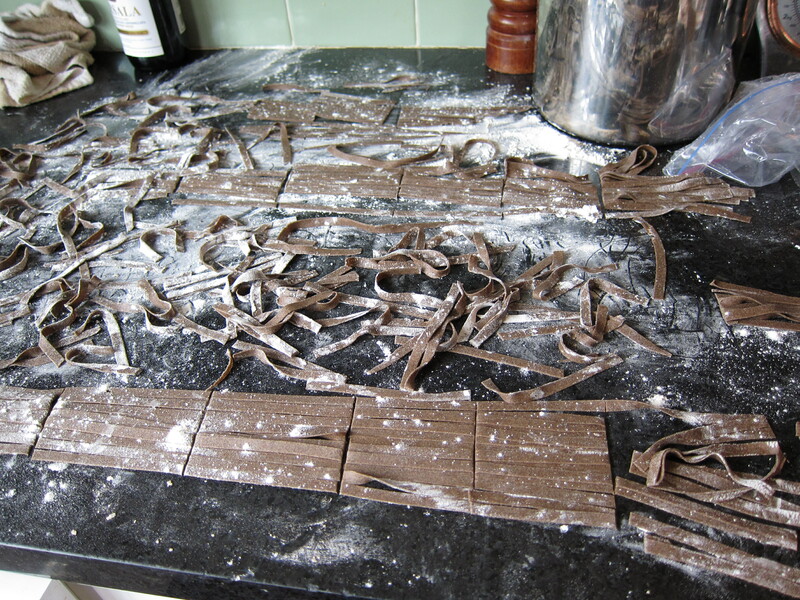 This entry was posted in Italian, Kitchen Diaries. Bookmark the permalink.